Printed Juco Bag with Round Cotton Web Handles. 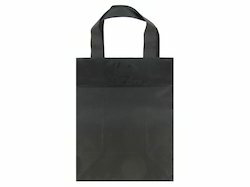 We offer Juteberry Juco Promotional Bag to our clients. It offers all of the natural production as with the Jute but when blended with Cotton it offers a finer weave. This provides the option to customers to be able to print a more detailed design on this fabric as it has more of a Cotton finish. Juco Conference Bag with 2 chambers. We have carved a niche for ourselves as the leading provider of Floral Printed Juco Bag. The range is designed with excellent finishing and design. It is easy to carry as it has a long strap that can be easily hanged. Floral Printed Juco Bag is made from high graded material that is strong, color fast and highly qualitative. We are manufacturer, supplier, exporter of Juco Bags with logo imprint work. Made from jute and double stitches, these u shaped ladies jute bags are durable as well as stylish. Juco plain Bags / Juco Shopping Bags / Juco Pouch Bags / Juco utility Bags / Juco Drawstring Bags etc.